St. Patrick’s Day around our house is the day that the leprechaun comes and plays tricks on the kids. They run around trying to find him and even get a few pieces of his gold. But it’s also a day we like to sit down together and get as creative as possible to make some of our favorite holiday crafts. If you’re like me and have young kids, you know how tricky it can be to keep their attention on anything for too long. 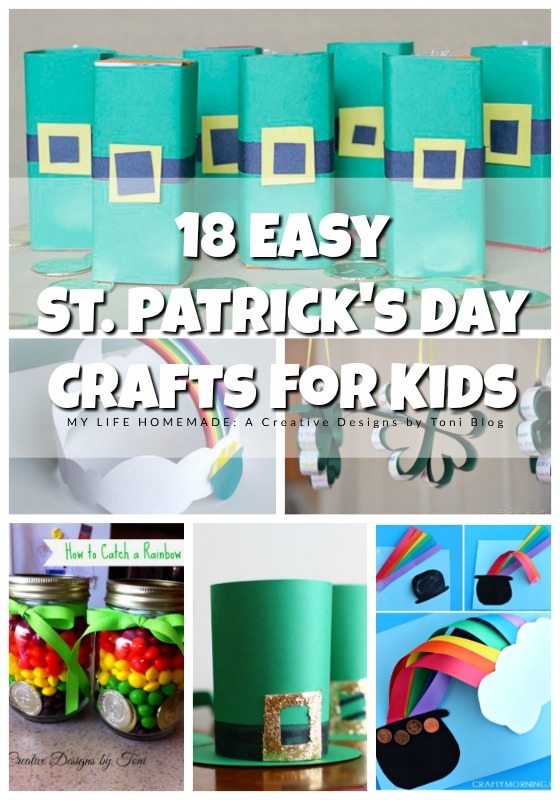 The following craft suggestions may help to keep your youngsters entertained. 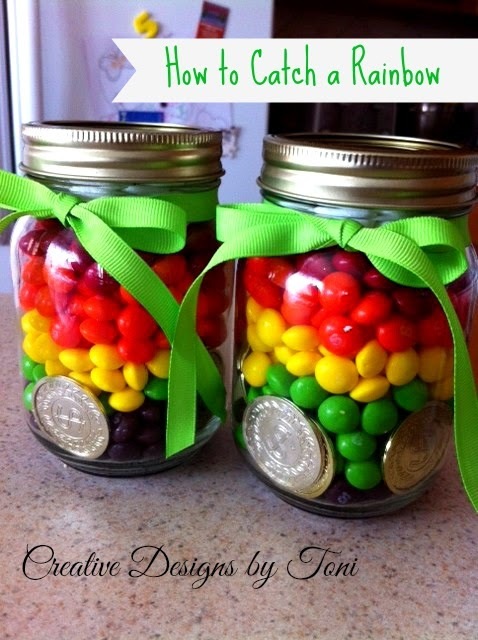 Create a fun and sweet gift everyone will love! This craft is super easy and fun. All you need to start is construction paper in orange, green, yellow, red, white, blue, purple and black. Grab a pair of scissors, tape, and pennies. 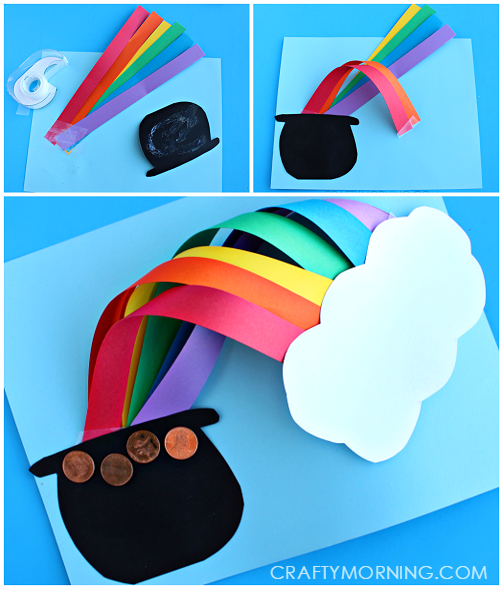 With this nifty craft trick, you’ll create the illusion of a 3D rainbow and cloud extending to a pot of gold. 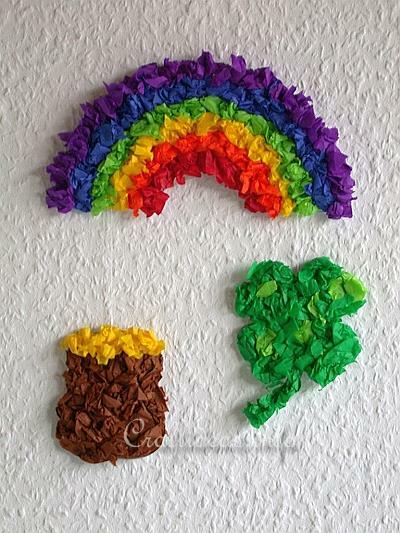 Here’s one that doubles as a craft for you and the kids as well as a decoration for the house. 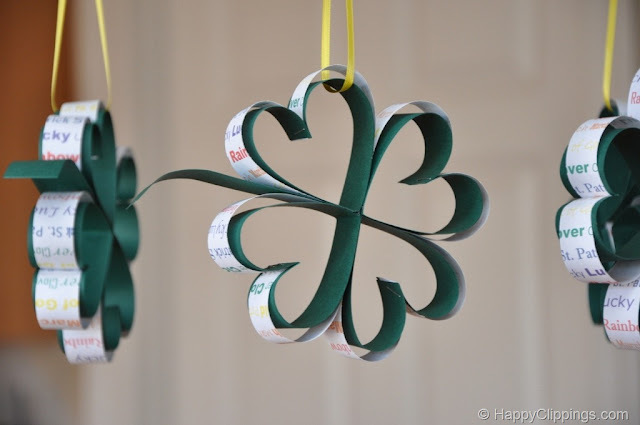 You can use either construction or scrapbook paper, scissors, glue dots or tape, and ribbon to hang the shamrocks. 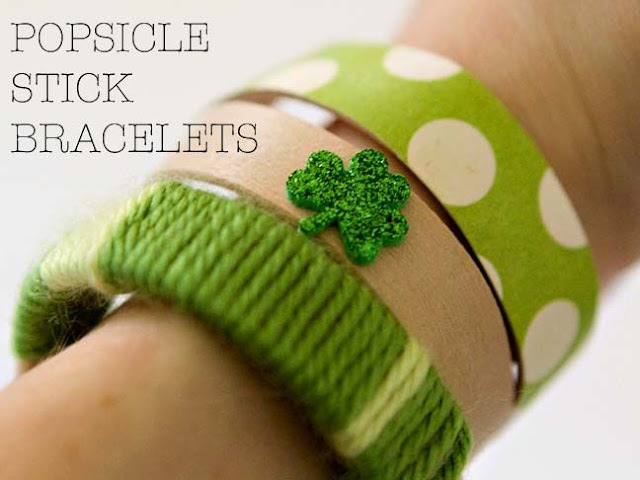 The look and design of your shamrocks are entirely up to you. This cute little craft serves double duty by giving your little ones something to wear for the holiday. All it requires is macaroni, green food coloring, scissors, pencil, hole punch, yarn, wax paper, construction paper, and a zippered bag. Let’s face it. All kids enjoy crafts, and parents all love to have a little reminder of how tiny their kids used to be. This craft gives you the perfect way to transform your child’s handprint into a treasurable project. 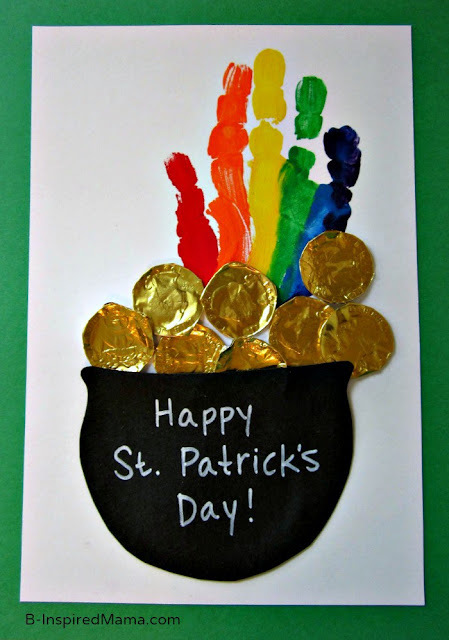 Gather together scissors, washable paints in various rainbow colors, glue, white paint pen, construction paper in white and black, paint brush, water, paper towels, and foil wrappers for gold coins. If you have a preschooler or kindergartener who wants to celebrate with their friends in school, this little treat is the most adorable way to do so. Remember to talk to your child’s teacher ahead of time to ensure there are no allergies before putting these treat cups together. 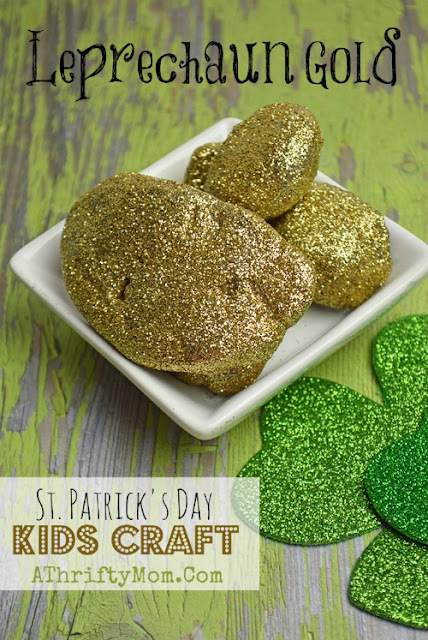 You will need to gather a few supplies ahead of time, such as clear plastic cups, M&Ms both brown and green, paper, gold and yellow, gold glitter, glue, icing glue, and sugar cookies. Everyone will be in awe at how cute these treats are, and you’ll love how simple they are to make. 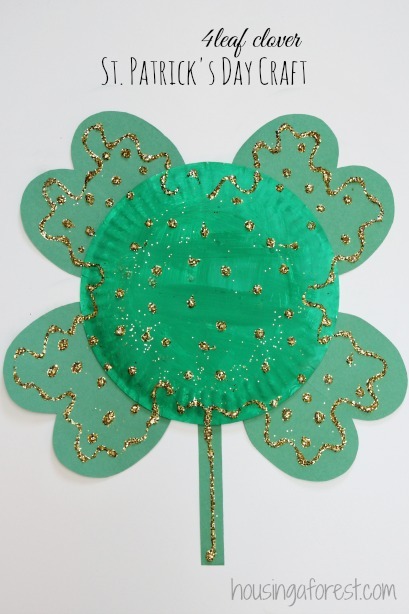 You don’t need expensive or fancy equipment to make a St. Patrick’s Day card. All you need is a potato and some paint and paper. Within a few minutes, you can carve a fun design into a potato and have your little ones stamp away. This bold and bright decoration makes your home décor pop. This is an easy project for preschool and school-aged children to make together, with supervision, of course. You will find they love tearing pieces of paper to make the project, so that makes it really fun for you, too. 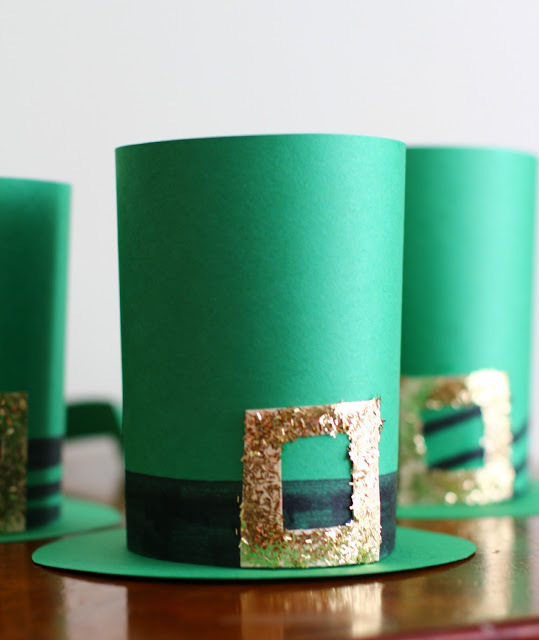 Paper leprechaun hats make a fun and festive item for any St. Paddy’s Day party. Your little tykes will love to have a party of their own, and these hats will make the perfect decoration and costume. 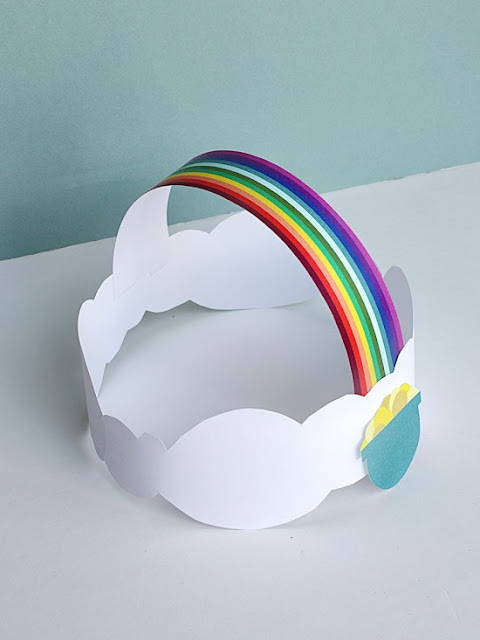 To make them, you will need to gather up some supplies like glue, scissors, cereal bowls, tape, glue stick, and green construction paper. 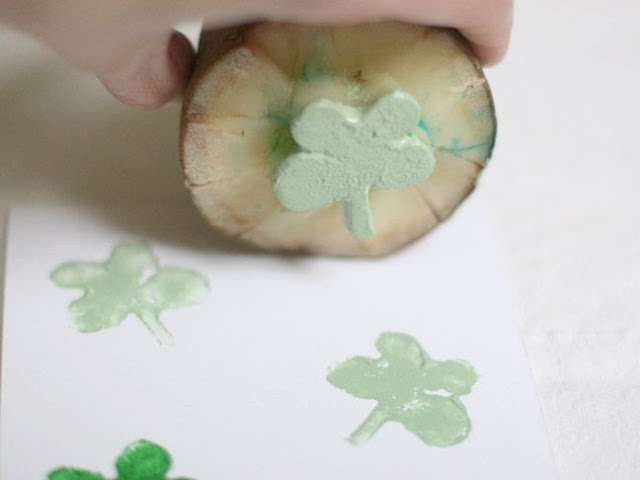 Here’s a simple and fun game to print up and make for you and the kids to play this St. Patrick’s Day. 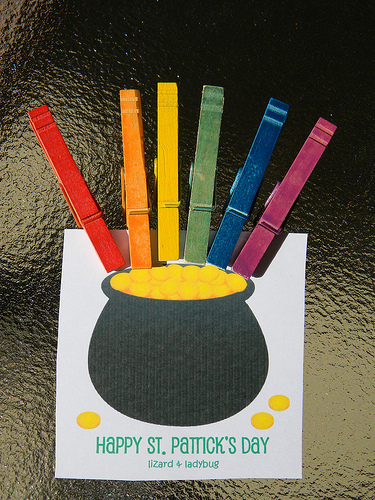 You will have to do some prep ahead of time, like painting clothespins in rainbow colors. But, once you get it all ready to go, the kids will love it and, better yet, they will learn to count in the process. What is one thing that everyone wants to get their hands on? Leprechaun gold, of course. My kids love making this simple and entertaining craft. The best part about it was searching for some stones in the yard. You’ll need a foam brush, newspaper to keep your area clean, gold glitter, and mod podge. One thing that kids love doing more than crafts is dressing up. This craft gives you the best of both worlds. All it takes is some printer paper, ink, and staples. Of course, you’ll have to bring your creativity as well. They will love this little crown and probably will be wearing it long after St. Patrick’s Day is over. Create this fun and entertaining little game in no time at all. You can print up the templates and let your little ones color it, or you can take it an extra step further and let them paint it. We chose the coloring route because sometimes my kids get a little crazy with paints. Young and old will love this craft, I know we did. Gather up a few supplies of your choosing, popsicle sticks, stickers, yarn, tape, or colored paper, it’s really up to how creative you want to be. This one may be super simple to make, but that doesn’t mean it is any less cute. Take this opportunity to teach your kids their shapes. You can use hearts or circles, or even ovals; it makes for a great learning opportunity. Kids love to give cards to their friends when it’s Valentine’s Day, and they will love this idea especially when they get to make them themselves. Using a few simple crafts, including paper and a template you print up, you can have them learn to write their own names by filling the cards out for friends and family. 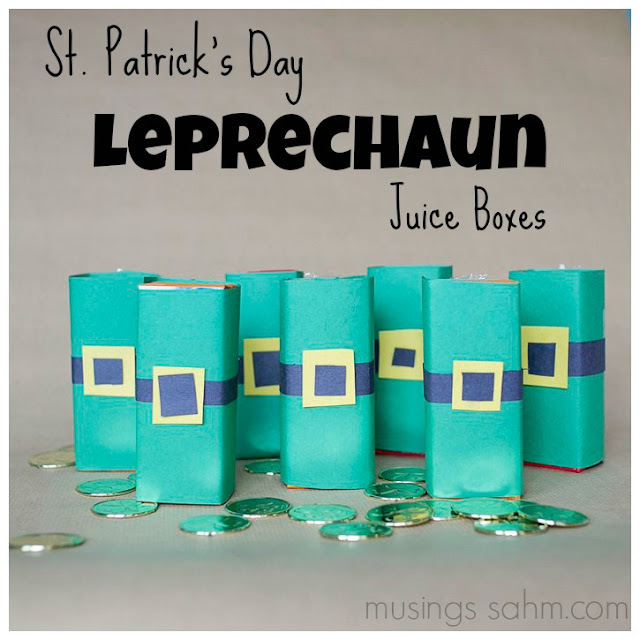 A simple but cute trick is to decorate juice boxes for your kids’ St. Patrick’s Day party. All you need is construction paper. 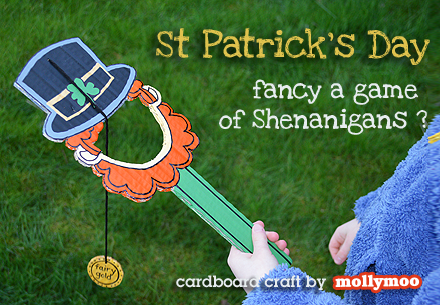 Teach your kids how to cut along the lines by helping to create the leprechaun belts. 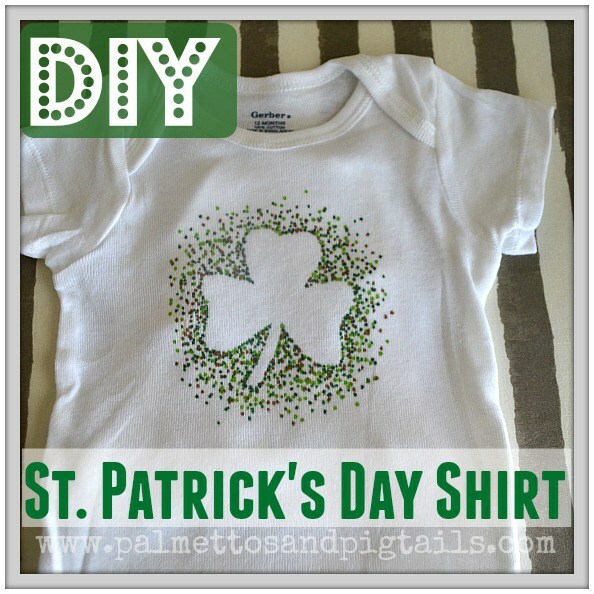 Grab your iron, a plain colored t shirt, permanent markers in different colors, freezer paper, and a piece of cardboard. Once you have everything cut out and in place, your kiddo can go to town with dots of color for this adorable little appliqué. 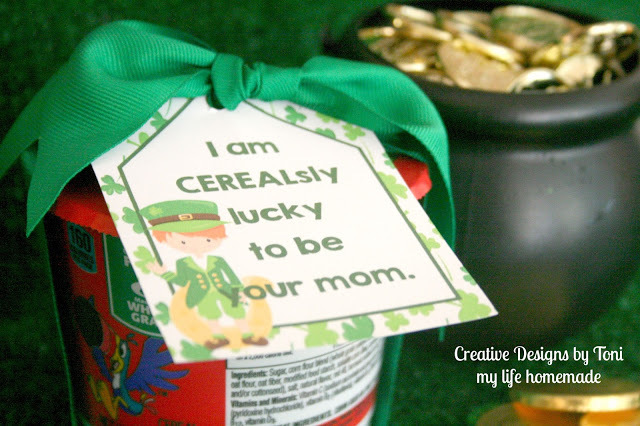 Plus, check out our Free St. Patricks Day Printable Gift Tags to add something fun to your kids breakfast! 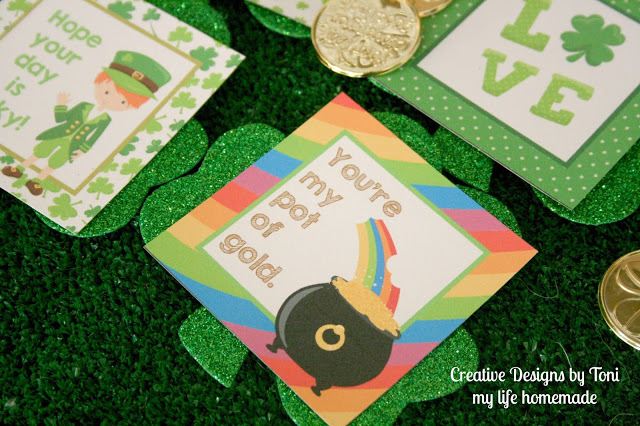 Pack their lunches with lots of love this St. Patrick's Day with our Free Printable Lunch Box Love Notes.